TELECOMS: KEEPING PACE WITH THE FOURTH INDUSTRIAL REVOLUTION — Prof Klaus Schwab, 2016. The Fourth Industrial Revolution. Look around and you can see how technology has changed the way we live our lives, even as recently as five years ago. The pace of change from here is expected to be exponential. Mobility and connectivity have become a must have in human lives and we are just at the start of the Fourth Industrial Revolution. 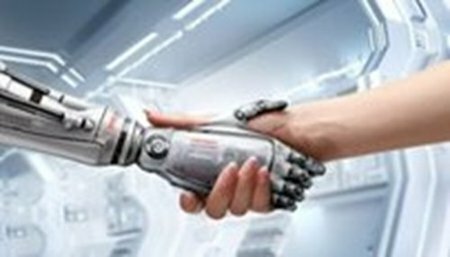 The Fourth Industrial Revolution is characterised by new technologies that are bringing together digital, physical and biological worlds1, impacting all disciplines, economies and industries. It is the so called cyber-physical systems, cloud computing and the Internet of Things (IoT), which are not just driving changes and efficiencies through the production line, but are transforming everything we do. Everything is changing – the way we connect, feel, live and work. Billions of people will be connected in real time, anytime and anywhere. Ericsson has forecast that there will be more than six billion smartphone users globally by 2020, which will represent about 70 percent of the world’s population. On top of that, the telecommunications company has also estimated there will be around 26 billion connected ‘things’ by 2020. We are on the verge of a paradigm shift. Connectivity is pervasive, data storage is limitless with cloud computing, hardware is becoming increasingly cheap and at a price that everyone can afford. Moore’s Law continues and Metcalfe’s Law is driving value through the network effects. Moore’s Law states that the number of transistors on integrated circuits has doubled every year since their invention. Moore’s Law also predicts that this trend will continue into the foreseeable future. Metcalfe’s Law states that the value of a telecommunications network is proportional to the square of the number of connected users of the system (n2). Think of Facebook, LinkedIn and Twitter, just to name a few. The more users on the network, the more valuable the service is to the community and social networking has already become a big part of our daily life. Businesses that are able to keep pace, be agile and adapt to these changes will benefit the most. The impact of the technology innovation will be disruptive to nearly every industry and process. Connected cars or driverless cars, connected home, smart cities, artificial intelligence, robotics, bitcoin, blockchain, 3D printing, biotechnology and nanotechnology are all examples of new technology innovation and advances that are still in their infancy. The opportunity for new products and services is limitless. Is the Telecommunication Sector keeping pace? We are living in a highly competitive world and competition continues to dial up. The telecommunication sector is at the heart of these changes, and the opportunities arising from this revolution are very significant. Telecoms need to invest and be ready to compete as the change will come thick and fast. Billions of dollars are being invested in this market into network infrastructure and technology platforms to support the needs of devices. 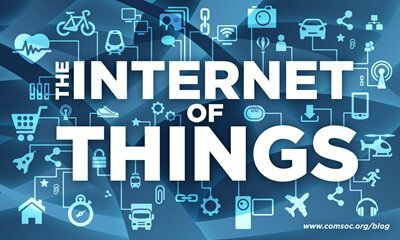 IoT is about the ‘Things’, connectivity, real-time data in the cloud and analytics. Connectivity and data analytics are the areas where telecoms can play and are playing. We know that the three key players, Telstra, Optus and Vodafone are getting their networks ready for the IoT and the exponential growth in demand for data. Cellular networks will have a significant role to play in the world of IoT, providing the connectivity. Telstra, Optus and Vodafone have been running field trials for their IoT networks and are planning for network wide deployment. They are also getting network ready for 5G, or fifth generation wireless systems. The real-time data will be collected and stored in the cloud and then it is about how you analyse this real-time information to provide crucial operational insights. Telecoms are well positioned to provide the platforms and software for data analytics and will play a vital role in assisting companies to connect the insights back to their business. We have seen telecoms discontinuing the revenue model from charging traditional voice minutes and SMS, to a bundled service which offers unlimited voice and SMS with limited data. The usage of data will be the most significant area of growth. New economic models will continue to evolve and the industry needs to continue to keep pace with the changes, to be competitive, predictive and preemptive. There is also increased focus by the telecom providers to control communication at home. If you control home communication, you will get a large share of the consumer wallet. Connected home is the next iteration of what we have now, largely just triple-play or quadruple-play (fixed voice, fixed broadband, pay TV and mobile). 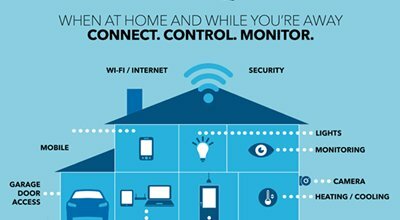 Being able to connect, control and monitor everything inside your home when you’re at home, and while you’re away, on a single platform will change the way we live. For the provider, it is a new revenue stream as well as churn reduction exercise. E-Health (or Health Informatics) is the other area that the telecom providers are actively engaging in, providing solutions, connectivity and the platform that will transform the way healthcare is delivered to the community in a safer, more affordable, better quality and sustainable way. The telecom industry continues to be a highly regulated industry and regulators need to adapt to this new, fast-changing environment to embrace the technology disruption that the Fourth Industrial Revolution brings as it shapes the future and benefits consumers and the economy. Cloud and SaaS (Software as a Service) providers are also well positioned to ride the wave of the Fourth Industrial Revolution. 1. Prof Klaus Schwab, 2016. The Fourth Industrial Revolution. Edition. The Fourth Industrial Revolution.